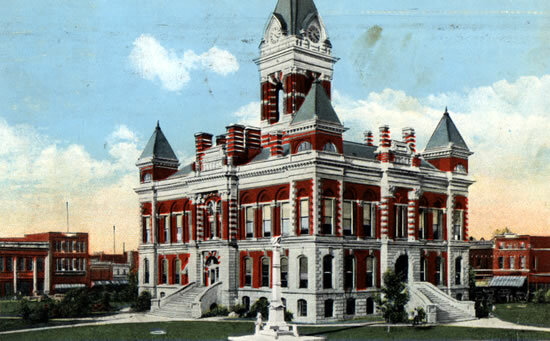 In the Common Pleas Court, Gibson County Indiana, May Term 1858. Comes now George W. Depriest, and makes proof to the satisfaction of the court that Minerva Depriest is the widow of Andrew J. Depriest, deceased, and that Marion Depriest, John Depriest, Elizabeth Jane Depriest, America Depriest, Hiram Depriest Sarah E. Depriest and Smith Miller Depriest are the children of said deceased and the proper and only distributees of the estate. It is therefore ordered by the court that the balance in the hands of Joseph Maher, the administrator be distributed to said above named heirs and when receipts are filed, the administrator will be discharged. Probate Order Book No.1 page 623.